Please note that an operators licence is required in order to get a Skip Lorry Insurance quotation. 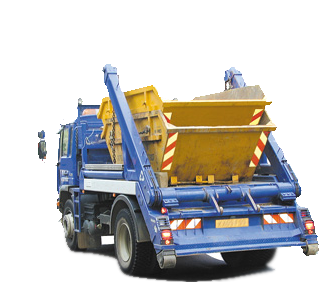 Skip Lorries are a very niche market to insure, but this does not mean that it should be hard to come across, and cost a fortune to obtain. A lot of businesses rely heavily on their skip lorries day to day, and making sure that they are covered properly in the case that something should happen to take them out of action, temporarily or permanently, is hugely important. The majority of the time, every day that one of a company’s fleet is out of action, it costs them a lot of money, and it’s here that the compensation for any accidents or injuries stopping work from proceeding becomes most needed. Why Choose One Sure for Skip Lorry Insurance? At One Sure, we take pride in making sure that everything is explained properly to you in regards to the policy, and all the details, no matter how big or small, are covered. This helps us to provide you with the best cover available dependant on your requirements and needs. Our professional and experienced sales advisors will do everything in their power to consult our board of over 40 insurers to obtain their best deals, and the strong working relationship we have strived to establish with some of the UK’s top insurers is what helps us get prices and offers that you won’t be able to find anywhere else on the market from any broker or insurer. Once we have you on board as a happily-insured customer, you can be assured that our service doesn’t stop there. We have a range of optional extras that you can add on to your policy for nothing more than a 5-minunte phone call. Be it 2 months free tools cover, or even legal assistance, we want to make sure that you have everything you can get out of your insurance. We have a dedicated Customer Service team that is open 9am until 5:30pm Monday to Friday and 9am until 2pm on Saturdays, who are more than happy to deal with your queries and resolve any issues you may have. If you’re looking to get in touch with us out of regular office hours to make a claim, then we have you covered. Our claims line is open 24 hours a day, so regardless of the circumstances, you can get through to us. If you would like to speak to us about one of our Skip Lorry insurance policies, or wish to obtain a quotation, please give us a call today for free on 0800 912 0157 or try our mobile-friendly number which uses normal provider minutes at the standard UK rate. If you do not wish to call us, fill out our simple online form and we’ll organise a call back for you!